Do you have a particular “close-to-the-market“ innovation and are you looking for complementary cross-border business partners to realize marketable solutions? 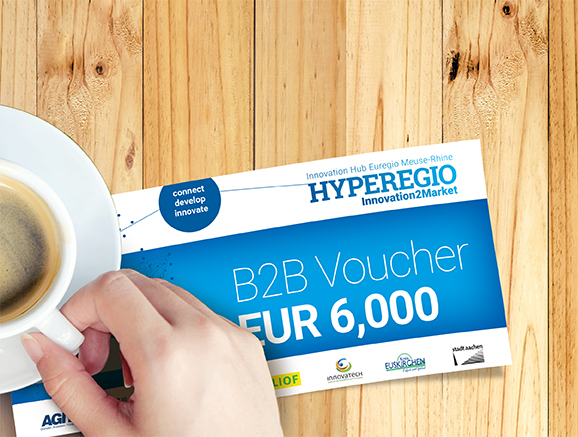 HYPEREGIO – Innovation2Market supports you in boosting your mature innovation (TRL 5-8), which is still in a pre-competetive stage! Find the right partner to develop your ideas to marketability: We offer hands-on support from our business development support (BDS) managers to find your business or market-oriented R&D counterpart(s) across the borders! Contact your regional and / or cross-border BDS manager >> here. You want to get in contact with companies across the borders and find your perfect match? Then participate in our B2B networking events! Each will be organised around a certain application field with a special topic. During our matchmaking events on a well-defined topic SME will be able to pitch, ask specific questions and look for other parties willing to partner up. It all starts from opportunities and challenges that companies are faced with. We will match questions with answers, problems with solutions. Beside the innovation funding of our “Innovation2Market” project, there are also other ways for companies to get financial support. If a certain call or funding scheme is open for proposals we will organise brokerage workshops to enable consortium building. Project ideas can / will be pitched and interested SME will learn more about the existing proposals or can form their own consortium around a new proposal.